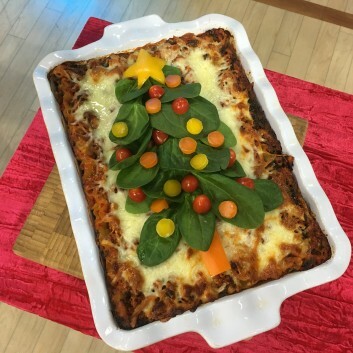 Celebrate the holidays with this fun and festive Christmas lasagna! It’s an easy recipe to prepare and delivers cheesy deliciousness with every bite. Plus the spinach adds nutrition and fiber. And no noodle-boiling required, thanks to a trick I learned from my mama! Cook the turkey in a medium nonstick pan coated with nonstick oil spray over medium heat until there is no pink remaining. Make sure to crumble the turkey as it’s cooking with rubber spatula or wooden spoon. Drain off fat. Add marinara sauce and ½ cup water to the pan with the cooked turkey. Mix thoroughly, cover and shut off heat, then set aside. Preheat the oven to 350°. Coat a 9-inch x 13–inch baking dish with nonstick oil spray. In a large bowl, mix together the ricotta cheese, egg, egg white, pepper, garlic powder, basil, and oregano. Add the drained spinach and mix again thoroughly. Cover the bottom of the pan with a thin layer of meat sauce (about ½ cup) and place down 3 of the uncooked lasagna noodles. Top with half of the spinach-ricotta mixture and about 1 cup of the meat sauce mixture, then a layer of 3 more noodles. Top with the remaining spinach-ricotta mixture and then the remaining 3 lasagna noodles. Pour the remaining meat sauce over the top. Sprinkle on the mozzarella cheese. Pour about ½ cup of water around the edge of the pan (this will cook the noodles), and cover the pan tightly with aluminum foil. Bake for 45 minutes. Remove the foil and bake uncovered for 30 more minutes. 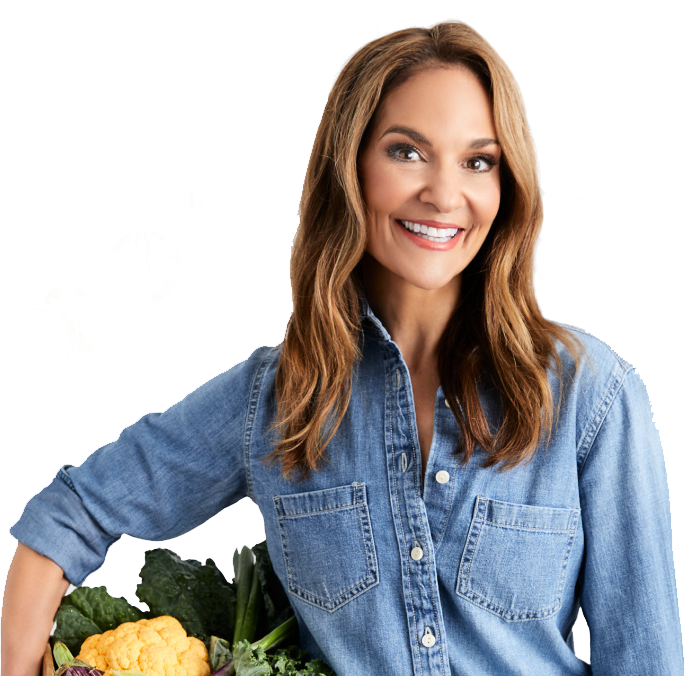 Let cool for 10 to 15 minutes—then add baby spinach leaves on top in the shape of a Christmas tree and decorate with star-shaped bell peppers and sliced cherry tomatoes as ornaments. You can easily create a Chanukah Menorah using the same produce pieces. Serve and enjoy!